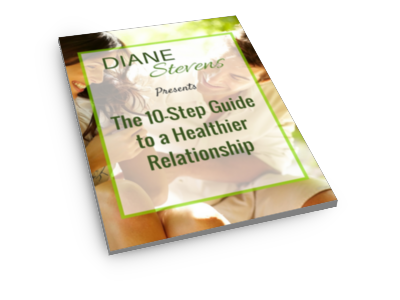 This site is operated by Diane Stevens Counselling. a) you are legally capable of entering into binding contracts; and b. you are at least 18 years old. a) Your order constitutes an offer to us to buy a Product or a place on an Event. All orders are subject to acceptance by us and, if we accept your order, we will confirm such acceptance to you by sending you an e-mail (Order Confirmation). The contract between us (Contract) will only be formed when we send you the Order Confirmation (including where you place your order by telephone). b) The Contract will relate only to those Products and/or Events in respect of which we have sent you an Order Confirmation. We will not be obliged to supply any other Products or Events which may have been part of your order unless and until we send you an Order Confirmation in respect of them. a) a Contract in relation to Products at any time prior to the end of the period of seven working days beginning on the day after you received the Products. b) a Contract in relation to Events at any time within seven working days, beginning on the day after we send you the Order Confirmation. However, if the Event is to take place prior to the end of that period, then your right to cancel will expire on the start date of the Event. ii. the date on which the first Event takes place. In each case, you will receive a full refund of the price paid for the Products or Events in accordance with our refunds policy (set out in clause 8 below). 4.2. To cancel a Contract under clause 4.1, you must inform us in writing. In the case of a Contract for Products, you must also return the Products to us as soon as reasonably practicable, and at your own cost. You have a legal obligation to take reasonable care of the Products while they are in your possession. If you fail to comply with this obligation, we may have a right of action against you for compensation. d) content which you have downloaded from our site or any other site operated by us. b) if you have unsealed any other Products which we have provided to you in relation to the Event. c) if you inform us in writing that you will not be attending the Event at least 4 weeks prior to the date of the Event, then your place on the Event will be cancelled, your deposit will be refunded to you and your bonus place will remain available to you to use in respect of another applicable Event (which may itself be subject to you first paying us a deposit). 4.6. This clause 4 does not affect your statutory rights. 5.1. An order for Products will be fulfilled by the delivery date set out in the Order Confirmation or, if no delivery date is specified, then within 30 days of the date of the Order Confirmation, unless there are exceptional circumstances. 5.2. Events shall take place on the day and at the time and location advertised by us, or on such other day, at such other time and/or at such other location as we may notify you prior to the advertised date. 6.1. The Products will be at your risk from the time of delivery. 6.2. Ownership of the Products will only pass to you when we receive full payment of all sums due in respect of the Products, including delivery charges. 7.1. The price of the Events, Products and our delivery charges will be as quoted on our site from time to time, except in cases of obvious error. 7.2. Some prices stated on our site may include VAT and will be stated where this applies. 7.3. Event prices, Product prices and delivery charges are liable to change at any time, but changes will not affect orders in respect of which we have already sent you an Order Confirmation. 7.4. It is always possible that, despite our best efforts, some of the Products and/or Events listed on our site may be incorrectly priced. We will normally verify prices as part of our Order Confirmation procedures. If the correct price of a Product or Event is higher than the price stated on our site, we will normally, at our discretion, either contact you for instructions or reject your order and notify you of such rejection. 7.5. We are under no obligation to provide any Product or Event to you at the incorrect (lower) price, even after we have sent you an Order Confirmation, if the pricing error is obvious and unmistakeable and could have reasonably been recognised by you as an error. 7.6. If we agree with you that you may pay for an Event in instalments, then each instalment must be paid by its due date (as notified by us to you). e) refuse to provide you with any Products that you have ordered from us, whether or not you have paid for them. a) because you have cancelled the Contract in accordance with clause 4 above, we will process the refund due to you as soon as possible and, in any case, within 30 days of the day you gave notice of cancellation. In this case, we will refund the price of the Product in full, and any applicable delivery charges. However, you will be responsible for the cost of returning the item to us. b) for any other reason (for instance, because you consider that the Product is defective), we will examine the returned Product and will notify you of whether we agree that you are entitled to a refund within a reasonable period of time. We will usually process any refund due to you as soon as possible and, in any case, within 30 days of the day we confirmed to you via e-mail that you were entitled to a refund. We will refund the price of a defective Product in full, any applicable delivery charges and any reasonable costs you incur in returning the item to us. 8.2. If you cancel a Contract for an Event in accordance with clause 4 above, we will process the refund due to you as soon as possible and, in any case, within 30 days of the day you gave notice of cancellation. In this case, we will refund the price of the Event in full. b) if your place on the Event was a free bonus place awarded to you, or if you otherwise were not charged a fee specifically for the Event, then you will be entitled to a place on any replacement Event (or part Event) provided by us as a result of the cancellation or postponement of the original Event (or part Event), and we shall not in any event have any other liability to you in respect of the cancellation or postponement of the Event. In particular, but without limitation to the generality of the foregoing and without prejudice to clause 13, we shall have no obligation to reimburse you for any travel, accommodation, subsistence of other costs or liabilities incurred by you in relation to your planned attendance on the Event. 8.4. We will usually refund any money received from you using the same method originally used by you to pay for your purchase. 9.1. You must comply with all health and safety rules and regulations and any other reasonable security requirements that apply at the premises at which Events are provided. 9.2. We shall provide such presenters to present Events as we, in our sole discretion, deem fit. We shall be entitled at any time to substitute any presenter with any other person who, in our sole discretion, we deem suitably qualified to present the relevant Event (or applicable part thereof the relevant Event (or applicable part thereof). In such circumstances we shall also be entitled to vary the content of the Event accordingly. 9.3. Personal possessions are the sole responsibility of the customer. We accept no responsibility or liability for anything that is lost, stolen or stolen from venues at which Events take place. 9.4. We may from time to time arrange for attendees on Events to be offered special or discounted rates or benefits from hotels or other third party service providers. We do not guarantee that any such rates or benefits shall be made or shall remain available to you. Accommodation, travel, subsistence and other such arrangements are entirely your responsibility, and will be subject to the terms of business of the applicable external service provider. We shall have no liability in respect of any default by any such provider. 9.5. We reserve the right to exclude you from participating in any Event (or part thereof) if we, in our sole discretion, consider that your participation has been is or would be detrimental to the experience of any other attendee or detrimental to our business. In the event that we exercise this right, we may in our reasonable discretion offer you a refund or part-refund in respect of the relevant Event. c) without prejudice to clause 4.5, in no event shall any acts or omission by us in relation to any such bonus ticket or any Event booked using any such bonus ticket entitled you to a refund in respect of any Product or Event purchased by you. 10.1. All intellectual property rights (including but not limited to copyright) in all Products, Events and Event materials at all times belong to and shall remain vested in us and neither you nor any other person shall obtain any intellectual property rights or any other interest, right or title whatsoever in or to any Product or any Event materials or any part thereof save as otherwise expressly granted under these terms of supply. 10.2. If you purchase an Event for which we provide you Event materials, we here by grant you a non-transferable, non-exclusive license to use those materials strictly for the purpose of participating in the relevant Event and for your own educational, non-commercial purposes. 10.3. You shall ensure that such course materials are only made available to and accessed by you in accordance with clause 10.2 and you must not make available, copy, reproduce, disseminate, retransmit, sub-license, distribute, sell, publish, broadcast or otherwise supply in any medium and in any manner any such materials (or any part of them) to any third party. b) we will perform our obligations under the Contract with reasonable care and skill. 11.2. Notwithstanding clause 11.1, we do not warrant that any Event will be complete or error-free. 11.3. All other conditions, warranties or other terms which might have effect between you and us or be implied or incorporated, whether by statute, common law or otherwise, are hereby excluded to the fullest extent allowed by applicable law. 12.1. In relation to any personal data provided to us by you or on your behalf, you agree that we may use such personal data to perform our obligations and enforce our rights under any Contract. c) any other matter for which it would be unlawful for us to exclude or attempt to exclude our liability. 13.2. Our maximum aggregate liability in respect of any claim arising out of any Contract, whether in contract, tort (including negligence), breach of statutory duty or otherwise, shall not exceed the total sum paid for the particular Product and/or Event giving rise to the claim. i) any special, indirect, consequential or pure economic loss which arises out of or in connection with these terms of supply even if we had been advised of the possibility of such loss. 13.4. We shall have no liability for any failure or delay in the performance of any of our obligations where any such failure or delay is due to any act or omission by you or any third party. 13.5. You assume sole responsibility for the selection, suitability and use of any Products or Events. 14.1. If you order Products from us they may be subject to import duties and taxes which are levied when the delivery reaches the specified destination. You will be responsible for payment of any such import duties and taxes. Please note that we have no control over these charges and cannot predict their amount. Please contact your local customs office for further information before placing your order. 14.3. Products may be dispatched from our fulfilment house in the USA. All notices given by you to us must be given to us at diane@dianestevens.co.uk. We may give notice to you at either the e-mail or postal address you provide to us when placing an order, or in any of the ways specified in clause 15 above. Notice will be deemed received by you and properly served on you immediately when posted on our site, 24 hours after an e-mail is sent to you, or three days after the date of posting of any letter to you. In proving the service of any notice, it will be sufficient to prove, in the case of a letter, that such letter was properly addressed, stamped and placed in the post and, in the case of an e-mail that such e-mail was sent to the specified email address of the addressee. 17.1. The contract between you and us is binding on you and us and on our respective successors and assignees. 17.2. You may not transfer, assign, charge or otherwise dispose of a Contract, or any of your rights or obligations arising under it, without our prior written consent. In particular, you may not transfer to anyone else your place on an Event. 17.3. We may transfer, assign, charge, sub-contract or otherwise dispose of a Contract, or any of our rights or obligations arising under it, at any time. 18.3. Our performance under any Contract is deemed to be suspended for the period that the Force Majeure Event continues, and we will have an extension of time for performance for the duration of that period. 19.1. If we fail, at any time during the term of a Contract, to insist upon strict performance of any of your obligations under the Contract or any of these terms of supply, or if we fail to exercise any of the rights or remedies to which we are entitled under the Contract, this will not constitute a waiver of such rights or remedies and will not relieve you from compliance with such obligations. 19.2. A waiver by us of any default will not constitute a waiver of any subsequent default. 19.3. No waiver by us of any of these terms of supply will be effective unless it is expressly stated to be a waiver and is communicated to you in writing in accordance with clause 16 above. 21.1. These terms of supply and any document expressly referred to in them constitute the whole agreement between us and supersede all previous discussions, correspondence, negotiations, previous arrangement, understanding or agreement between us relating to the subject matter of any Contract. 21.2. We each acknowledge that, in entering into a Contract, neither of us relies on, or will have any remedies in respect of, any representation or warranty (whether made innocently or negligently) that is not expressly set out in these terms of supply. 21.3. Each of us agrees that our only liability in respect of those representations and warranties that are expressly set out in these terms of supply (whether made innocently or negligently) will be for breach of contract. 21.4. Nothing in this clause limits or excludes any liability for fraud. 22.1. We have the right to revise and amend these terms of supply from time to time. 22.2. You will be subject to the policies and terms supply in force at the time that you order Products or Events from us. Diane Stevens Counselling takes the security of our users and their information very seriously. This is one of the reasons why we choose to use online credit card processing facilities provided by PayPal. Credit Card payments through systems such as PayPal’s are inherently more secure than other methods of making credit card purchases, such as telephone orders or giving a card to a waiter in a restaurant. PayPal’s payment processing systems are fully secure and use a combination of both industry standard and proprietary techniques to ensure the security and integrity of all sensitive data, protecting both you and us. The PayPal network uses 2048-bit encryption, with full 128-bit encryption between the browser and the PayPal network. PayPal works in close cooperation with many major banks to ensure that their system integrity and security always meet the highest standards. The PayPal system is securely linked to a large number of processing banks worldwide, who handle the credit card authorisations and process the transactions in real time. PayPal servers are certified by Thawte, a public Certificate Authority, who only issue Digital Certificates to servers meeting stringent security requirements. The PayPal servers consistently meet and exceed these requirements. We have taken great care to ensure that the security of our users is assured so that you can purchase with confidence.